Rodriguez received the group’s endorsement on Monday. His running mates – ex-school board member Juan “Mitch” Santiago and former councilman Mohammed Akhtaruzzaman – were also endorsed. “We believe that Pedro Rodriguez’s team has the most well rounded and sensible approach to economic revitalization to one of New Jersey’s most impoverished, but important cities,” said Joseph Caruso, chairman of the committee. Rodriguez embraces public-private partnerships and tax incentives, according to Caruso. He cited these two as major factors for endorsing Rodriguez. “I am honored to this receive this endorsement since I know Paterson will become a major business and economic nucleus under my leadership. By providing a safe and secure environment, along with the right tax incentives, we can attract a diverse group of businesses that will provide jobs and economic opportunities,” said Rodriguez. 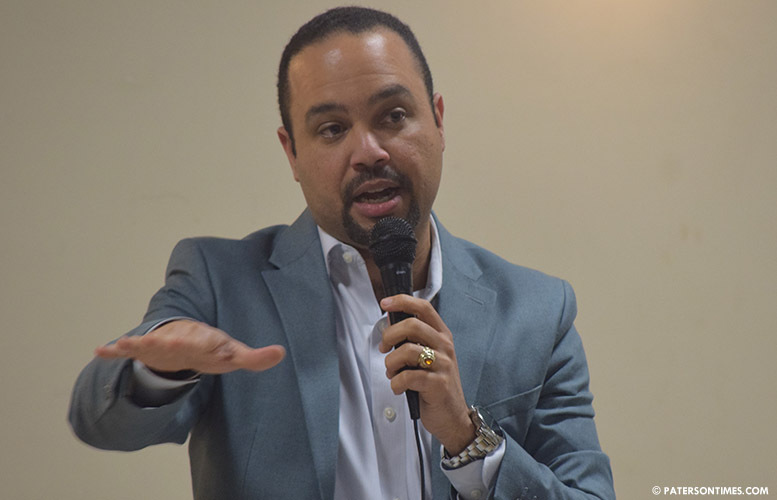 Rodriguez has outlined what he calls “Saving Lives, Saving Money” initiative to put provide employment to those with criminal records, those living in shelters, and even the homeless. “I will break the cycle of incarceration and poverty by providing employment opportunities and educational training to our most neglected citizens,” he said. Caruso said Rodriguez will make changes to the building department and encourage investment through use of tax abatement agreements called Payments in lieu of taxes (PILOTs,” which have become an anathema to council members. Rodriguez will have a tough time to do anything with tax abatement deals as many running for council seats do not favor them. The endorsement is an odd one for Rodriguez. He has repeatedly railed against special interest groups. Caruso’s committee is a special interest group pushing for pro-business policies. “We have to create a business friendly Paterson,” said Rodriguez. He unsure of the amount of money the group is willing to put behind him. Other candidates in the race are Alex Cruz, Alex Mendez, William McKoy, and Michael Jackson.